BOSS is pleased to offer another â€œAuthentic BOSSâ€? 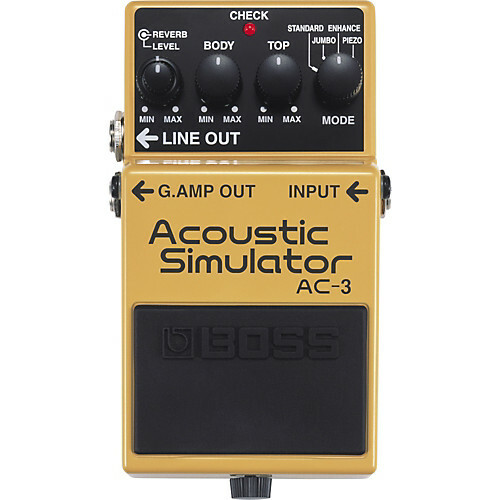 Compact Pedal; the AC-3. How many times have you been onstage or in the studio with your electric guitar, and wished that youâ€™d brought an acoustic along? For musicians who travel light, hauling an extra guitar to the gig isnâ€™t always the most attractive option. BOSS AC-3 to the rescue! 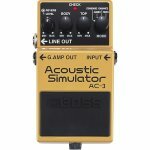 This new-generation compact pedal employs COSMÂ® modeling technology to transform any electric guitar into a variety of beautiful acoustic guitars.